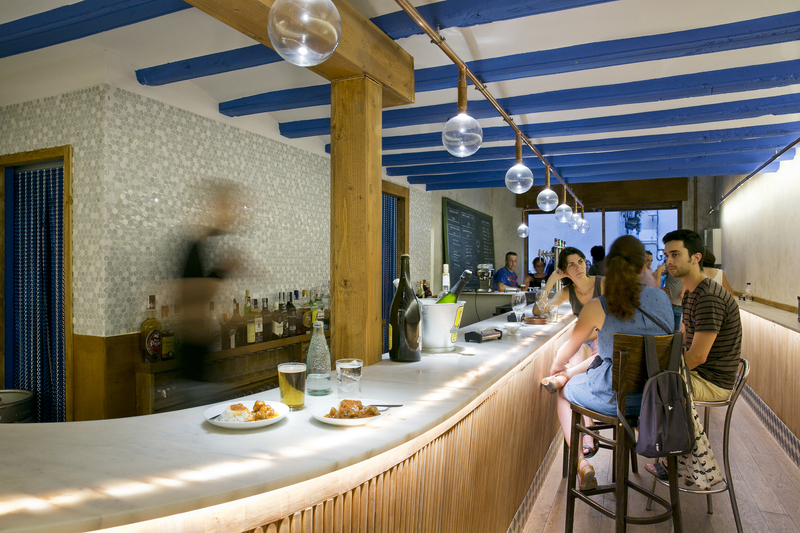 We've gathered together a list of eight bars that honour a custom popular in the south of Spain, but rarely found in these parts – free tapas with your drink order! 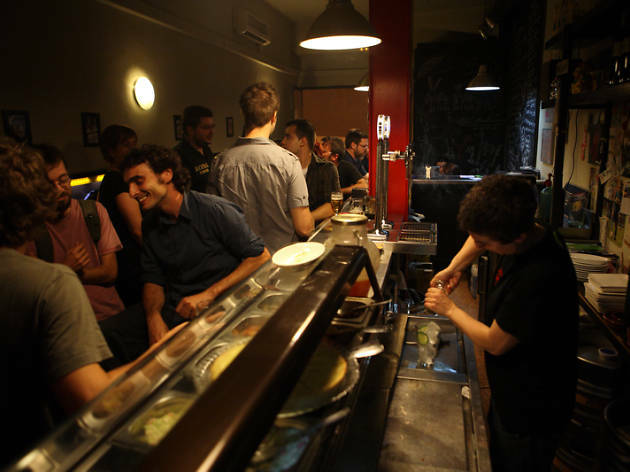 It might seem the stuff of dreams, but it's true: there are plenty of bars in Barcelona where you can get free tapas when you order a beer. Follow our guide to visit some of these very special establishments where food's included with your drink order. Note down the addresses and get ready to fill your boots for very few euros. In Barcelona, bars tend not to have very imaginative names. It would be great if someone took the opportunity of opening a new place to call it something like 'The happy cockle' ('L'escopinya alegre'), 'The two-headed dog' ('Els gos de dos caps') or 'The hole in the wall' ('El forat a la paret')! For the time being, however, the custom of naming bars after their location looks set to continue, like in the case of this one that's found in Plaça Raspall, which, fortunately, is one of the prettiest squares in the city, one that's little-known and hasn't been taken over by the crowds. 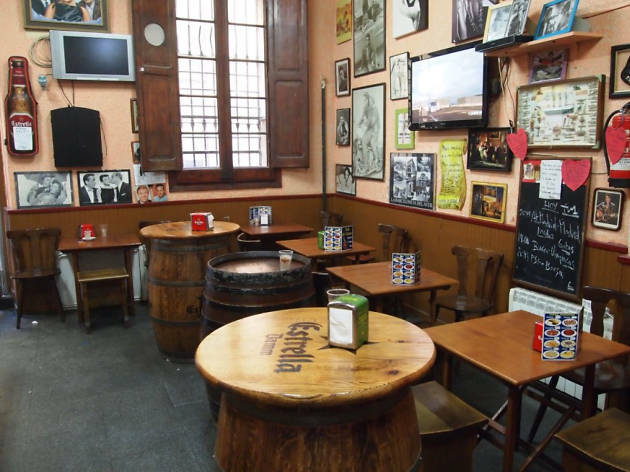 Even so, the Raspall gets a lot of clients every day, drawn particularly by the offer of a free tapa with a glass of draught beer, wine or vermouth. 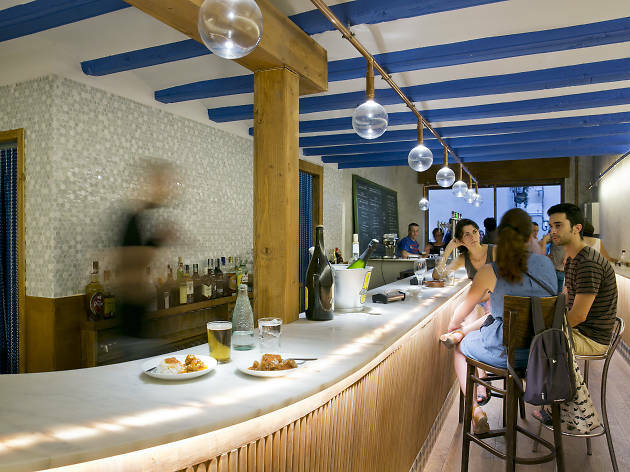 With apologies to Sants, if there's one neighbourhood in Barcelona where you can still find a bit of the tradition of free tapas with drinks, it's Barceloneta. And a benchmark of the practice for years has been Cal Chusco, where, when you order a draught beer (€2) or a small bottle of beer (€1.20), they'll accompany it with anything from a plate of ham or cheese to patatas bravas, chistorra sausage, potato omelette, croquettes, or whatever Isabel is up for serving that day. 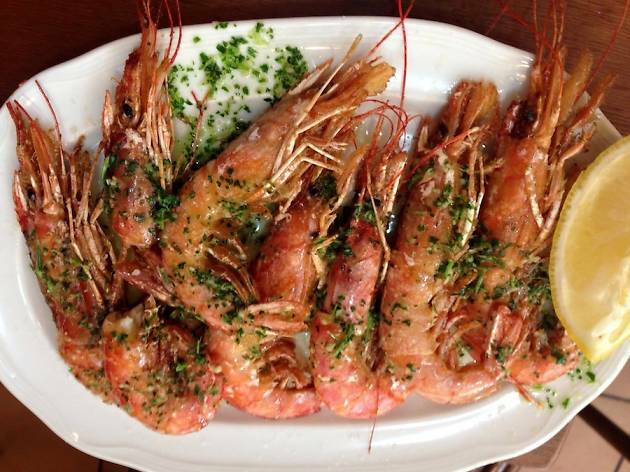 Hers is a kitchen of home-made dishes with a good dose of fish among them, and every day there are five or six different tapas to serve up with the drinks. 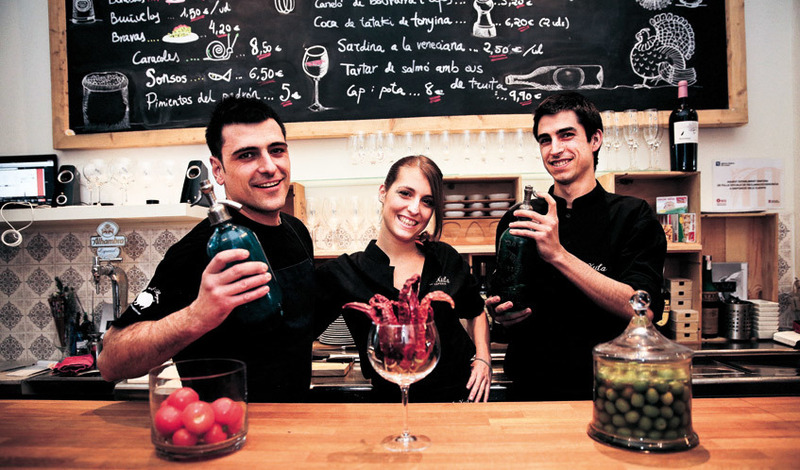 La Xula Taperia mixes the vivacious Madrid custom of a draught beer and a tapa – that's a free bite with each drink – with creative cuisine. 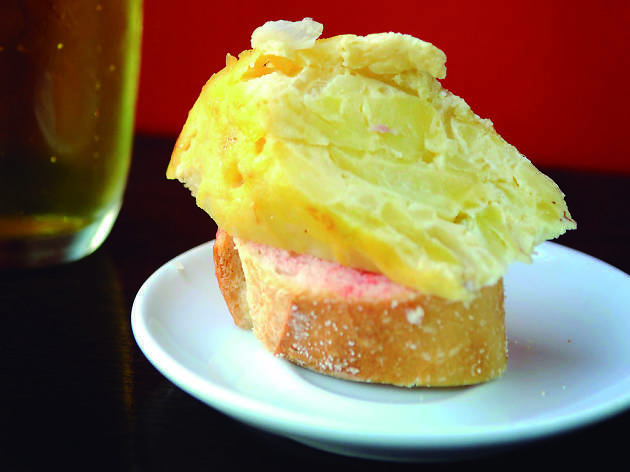 Their beers are poured to perfection, and tapas are well-suited to their creative style, resulting in small, casual nibbles. Examples include the tuna tataki and mustard tart, and the 'pringa' burrito made with Andalusian grilled beef, spinach and cheese. 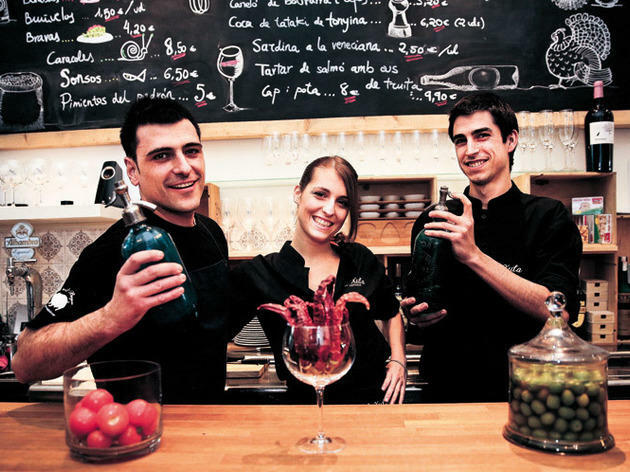 At La Gata Mala, when you order a drink they don't only give you a tapa of Russian sala, potato omelette or chistorra sausage, but they also do it with a smile and refer to all their customers with terms of endearment. You'll feel like you're visiting your granny, where the main priority is to be sure you've got all you need to drink and eat from a kitchen with 100 percent home-made dishes. They mix it up with the tapas so you don't get the same thing twice, and then you end up having dinner for less than a tenner (draught beers are €1.60) and calling the lovely owners Luci or Trinity (or both) Mum. When a place has sandwiches called 'kiki' (chicken breast, mayonnaise, lettuce and tomato), 'kiki completo' (the same, but with bacon) and 'vaquiña azul' (steak with blue cheese), you know right away that you're going to really be able to sink your teeth into them without hesitation; however 'el erótico' (pork with spicy chorizo sausage) might strongly conflict with your idea of sensuality. 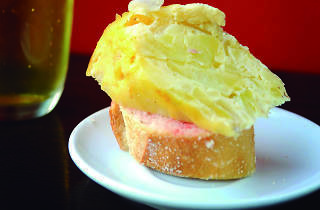 Even better than the selection of sandwiches is that whenever you order a drink, you also get a free tapa, which could be a warm dish like patatas bravas, or chistorra or spicy chorizo sausages, or it could be cold such as white botifarra sausage, tuna with pepper or sobrassada sausage. 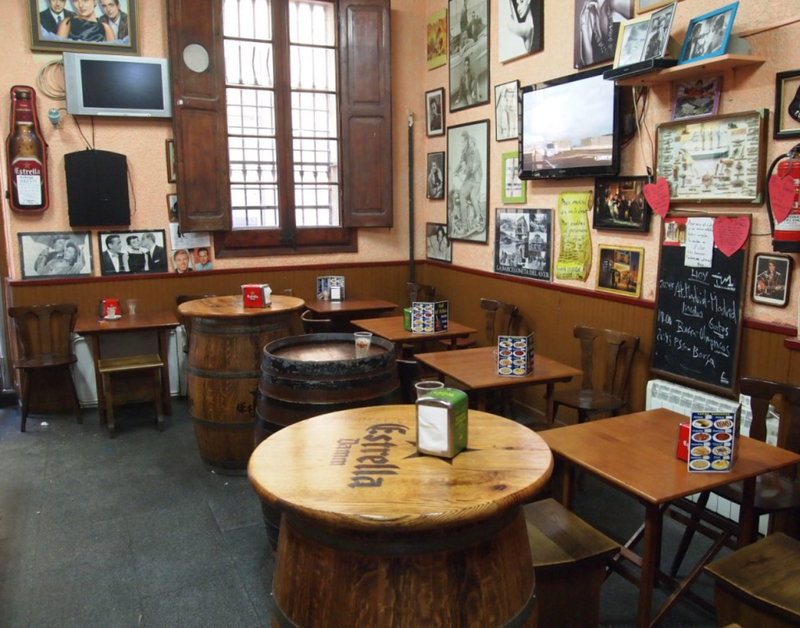 All served in a traditional bar that won't disappoint. From outside, this Galician bar might look like it's about to crumble down at any minute – in fact, the sign is falling apart, so you might never even think about crossing the threshold. But take the chance, and at the bar is where you'll find all the action. 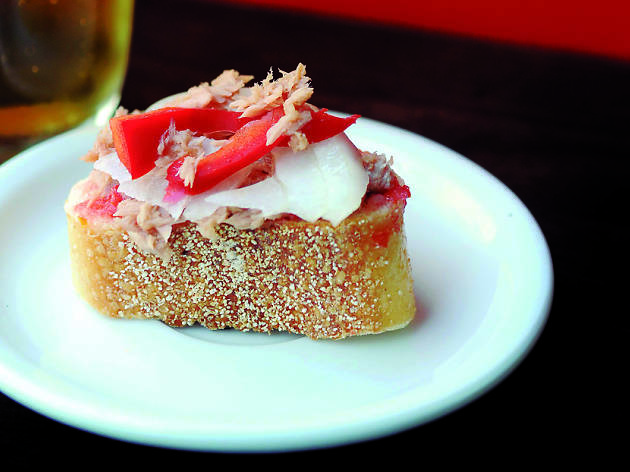 For one thing, you get a free tapa with your beer! 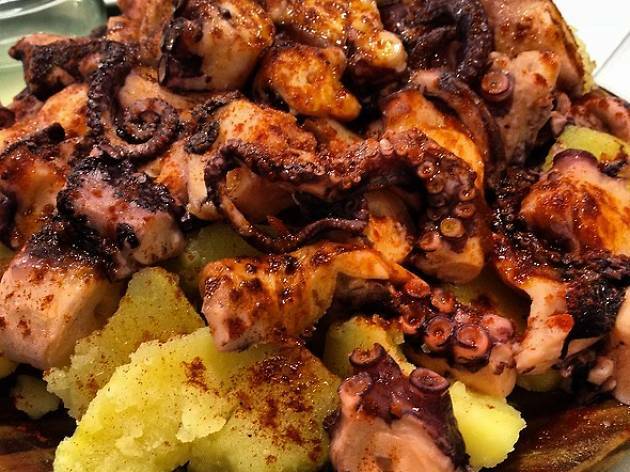 Plus, you can sample dishes made from excellent products and brilliantly executed, including an out-of-this-world Galician octopus and a ridiculously fresh hake. 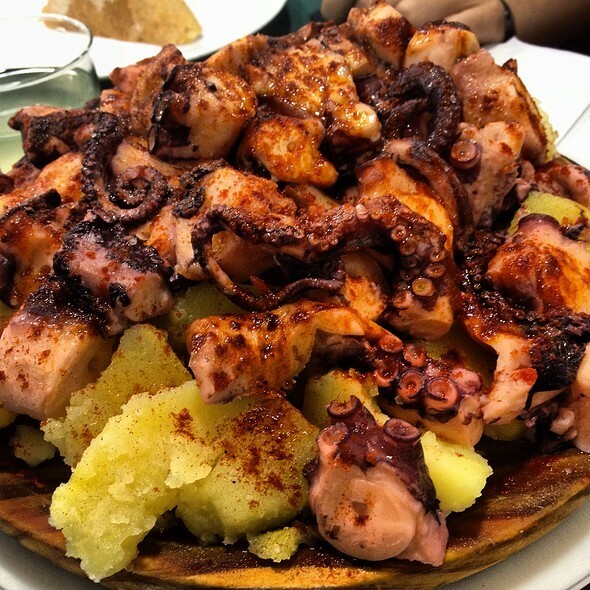 You'll also be happy with dishes that are more Barcelona's versions of pub grub tapas, such as the Galician tripe, sow's ear, etc. And while you might be iffy about places that have pictures of their dishes on the menu, rest assured this is the exception. 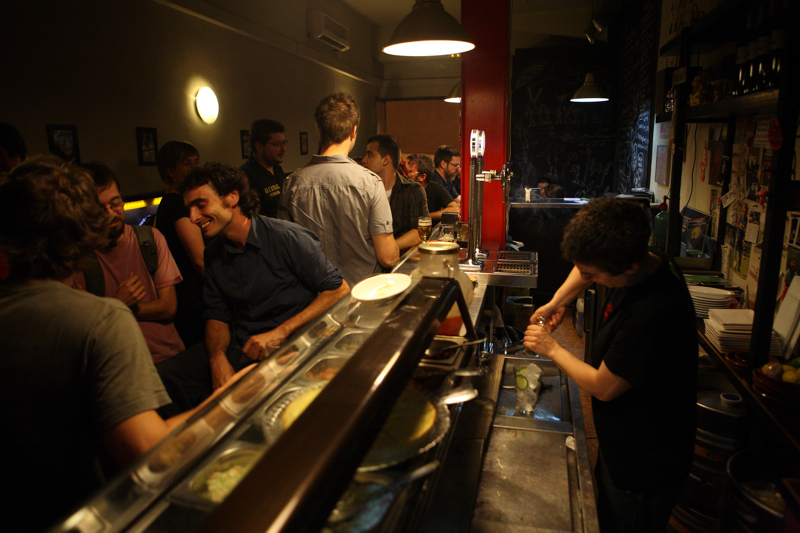 Located in Barceloneta, El Moll d'en Rebaix mixes ’70s and ’80s music to create a friendly environment. The place is full of photos of Marilyn Monroe and sayings hanging on the walls such as 'They should open only bars in order to help customers close wounds and feel that every morning means forgetting every day'. This is a place where you can eat and drink for half the price as other similar spots. And at El Moll d'en Rebaix the offer of a free tapa with your drink takes on a different spin: you get a free drink that costs less than or equal to the price of your tapa of choice. House specialities include fried fish or snails with home-made sauce. 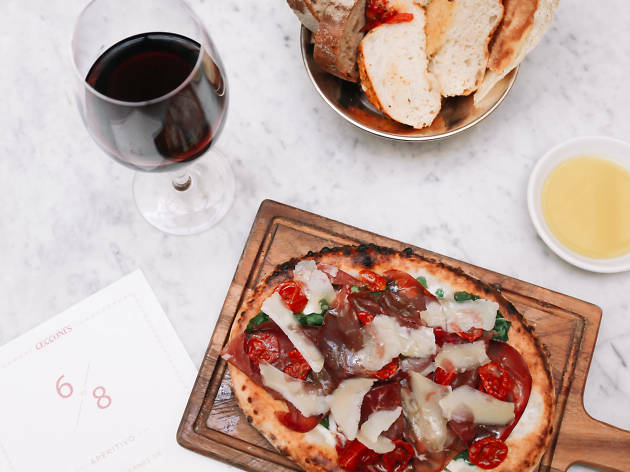 The Italian restaurant at Barcelona's outpost of the members' club Soho House is already a landmark in the Passeig de Colom area. And their Italian snacks aren't going to change that any time soon. 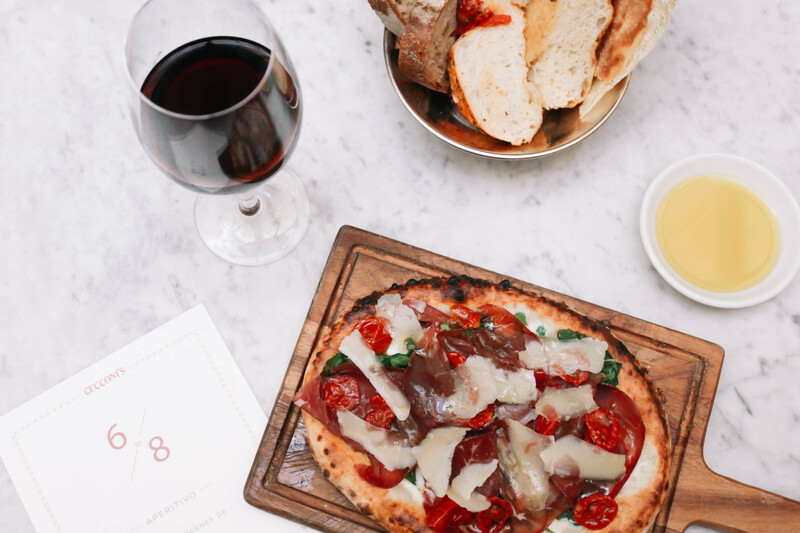 Served Monday to Friday between 6pm and 10pm, here they uphold the brilliant and delicious tradition of the Italian afternoon 'aperitivo'. 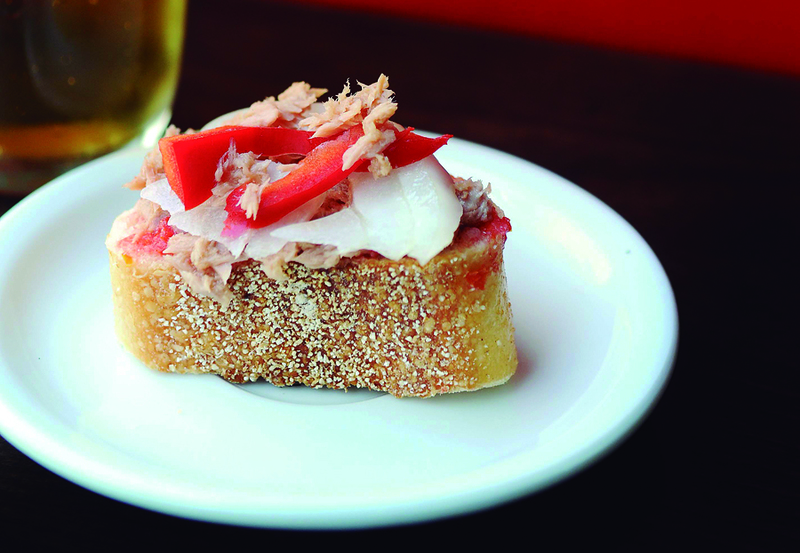 Order a drink and you'll get a free Italy-style tapa , 'el cichetti'. For €6, enjoy two draught beers and a haute cuisine nibble such as meatballs in tomato and basil sauce, or a mini pizza with buffalo mozzarella.